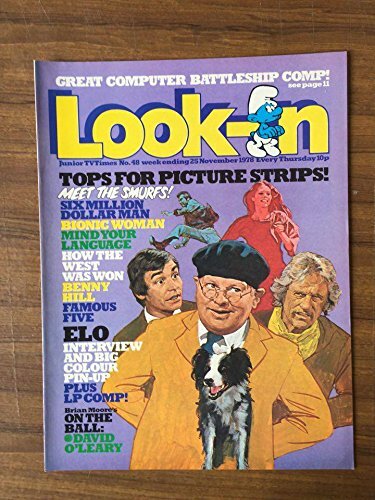 Look-In was a version of the TV Times for children. 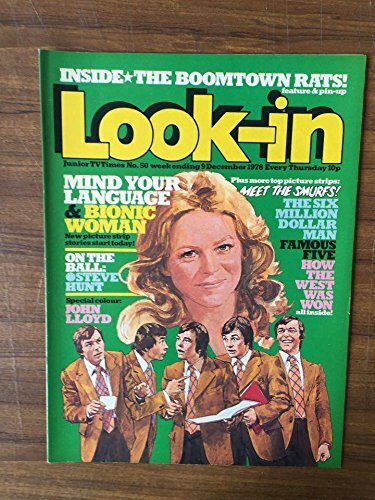 The weekly magazine featured a healthy splattering of photos (mostly of TV, movie, pop and sports stars) comic strips, crosswords and competitions. 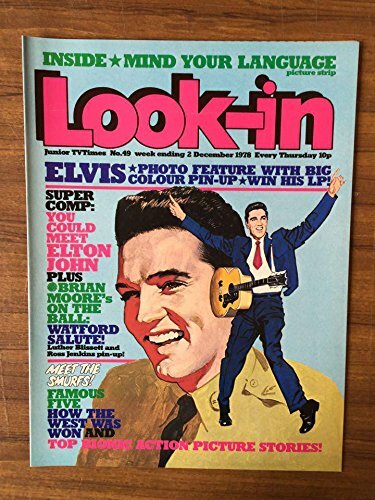 The very first issue was launched on 9th January 1971, with Alan Fennell as the editor. 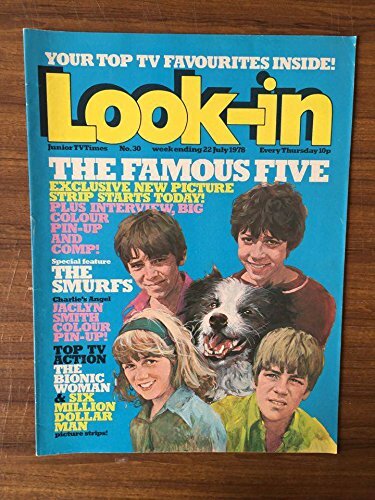 He had previously written episodes of Gerry Anderson produced programmes including Stringray, Thunderbirds and Fireball XL5. 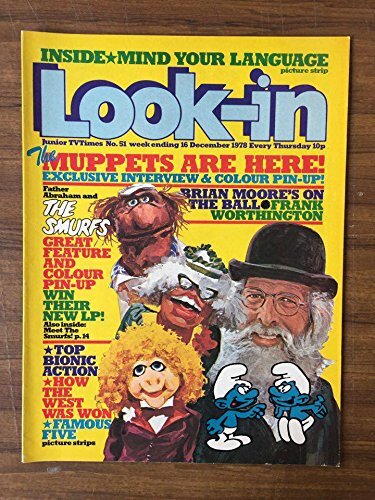 The art editor Colin Shelborn took over as the main editor in 1975. 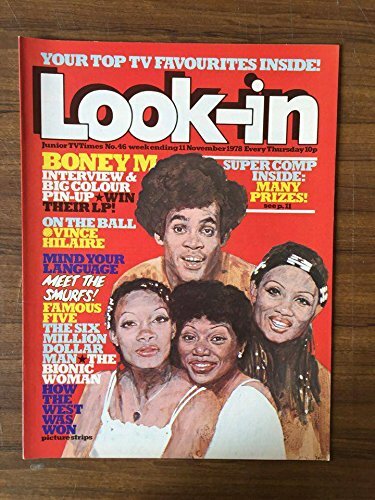 I remember getting really excited whenever I saw a new issue of Look-In in the newsagents. 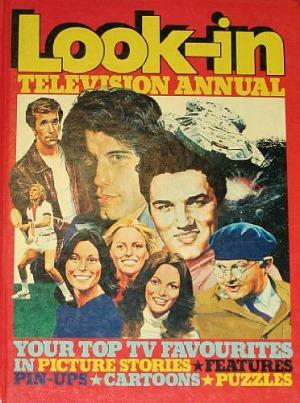 The covers were really appealing to kids, and during the 70s they featured artwork of the popular TV and Pop stars of the time. 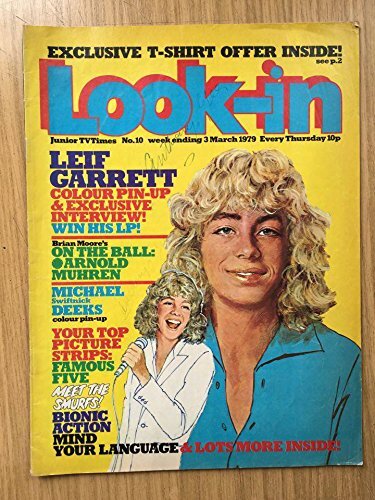 My neighbour bought just about every issue of the magazine (in the 70s, at least) and had piles of magazines in his bedroom - I managed to collect quite a stack myself, but it looked rather pathetic compared to his impressive collection. 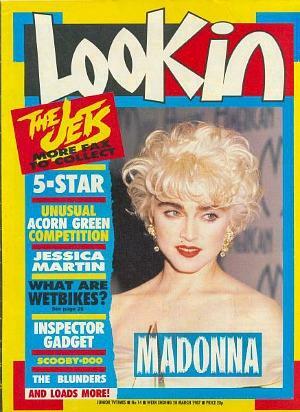 In September 1981, the magazine was given a make-over and featured a new logo. 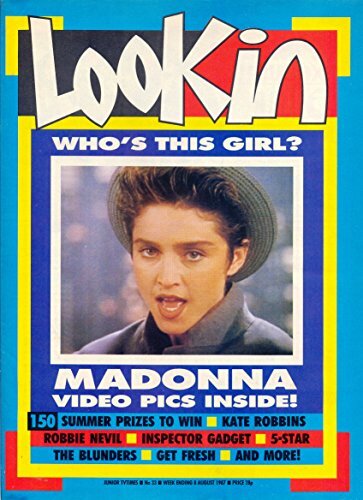 The biggest visual change was the use of cover photos rather than artwork. 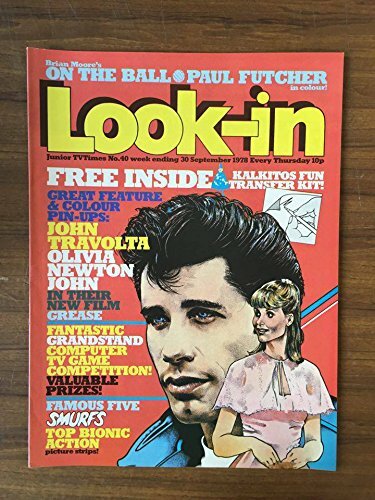 However, by the end of the 80s sales of Look-In were in decline and the competition grew from other glossy teen magazines. 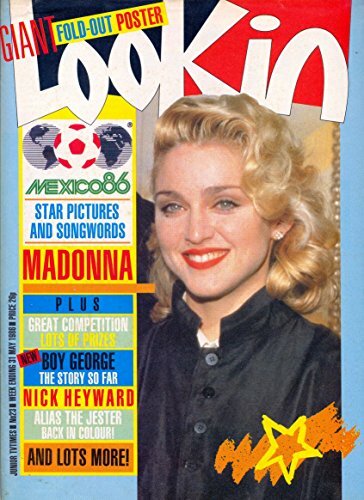 Even the BBC launched a new rival publication entitled Fast-Forward in 1989, and this actually outsold Look-In, although even this eventually ceased in Sept 1995. 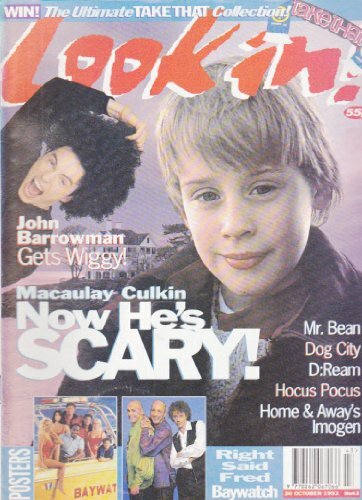 A previous attempt at a kids TV mag by the BBC called Beeb (which launched in 1985) had failed miserably and lasted for a paltry 20 issues. 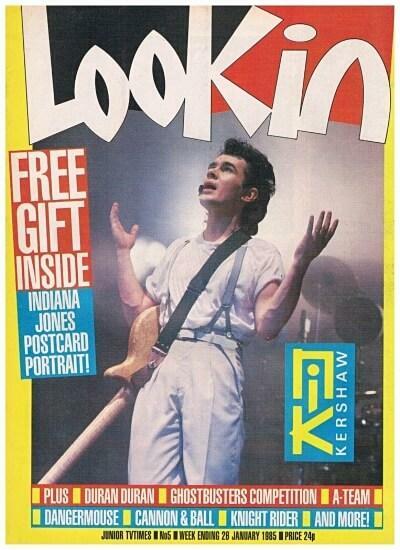 This issue from the week ending 26th Jan 1985 was 24p and featured 80s pop star Nik Kershaw and an Indiana Jone postcard portrait. 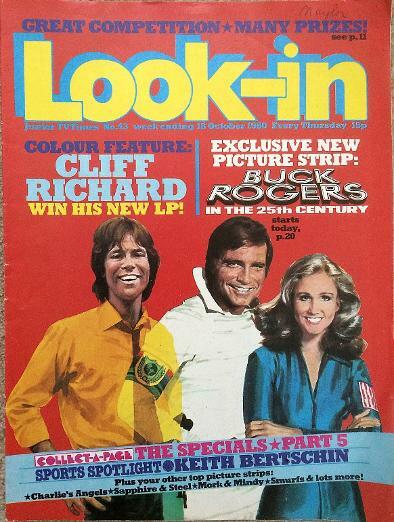 This issue is from October 1980 and features Cliff Richard with his new LP and a Buck Rogers in the 25th Century picture strip. 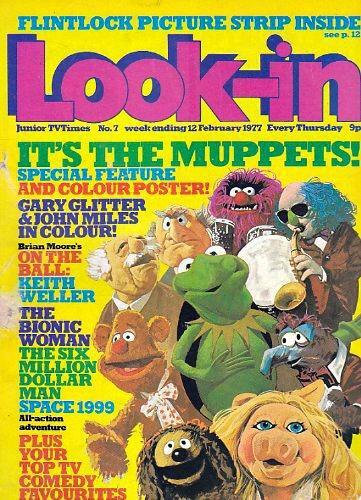 Look-In #7 from February 1977 featuring The Muppets. 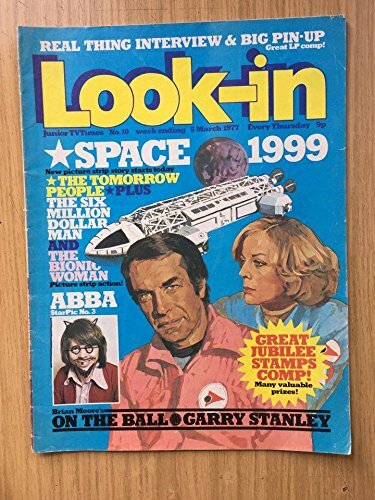 It was just 9p and I'm pretty sure I would have bought this issue it to read about The Six Million Dollar Man - or did I buy nine penny chews instead? 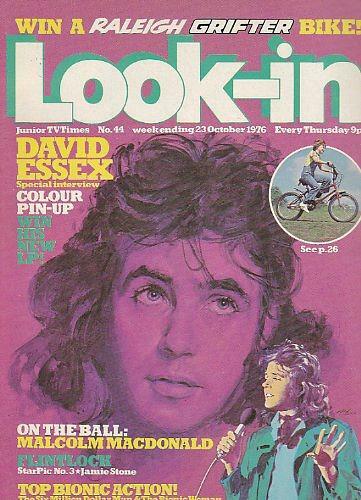 The cover of Look-In #44 from October 1976 featuring David Essex and a competition to win a Raleigh Grifter - remember them? 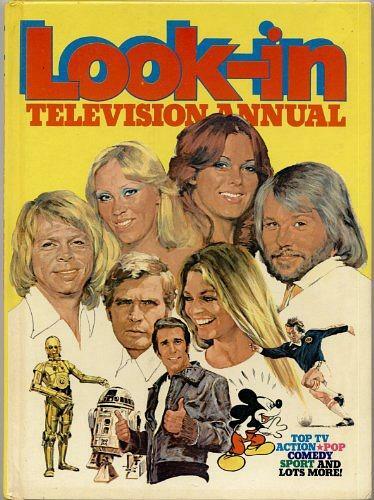 Look-In Television Annual cover from 1979 featuring ABBA, The Bionic Man (Lee Majors) and Bionic Woman (Lyndsay Wagner), C3PO and R2D2 Star Wars, The Fonz from Happy Days and Mickey Mouse. 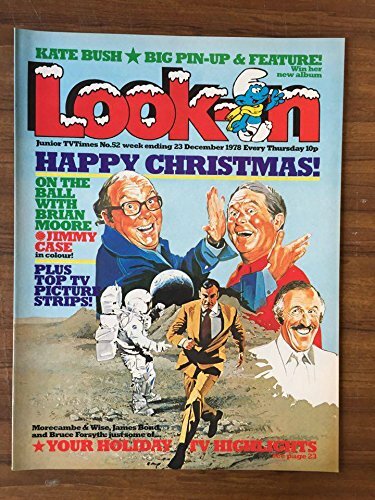 Look-In May 1982 featuring Danger Mouse, Penfold and co.
Look-In 11th Feb 1984 ft. Roland Rat skiing. 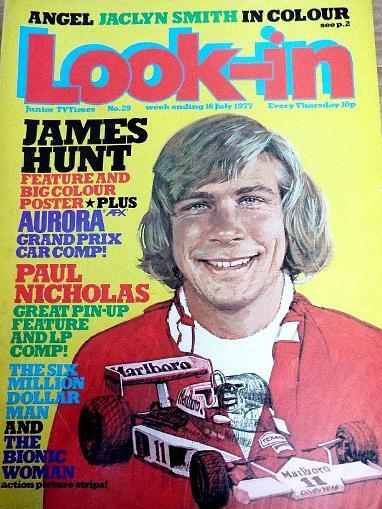 Let's hope he flattened that irritating Kevin the Gerbil on his way down the slope! 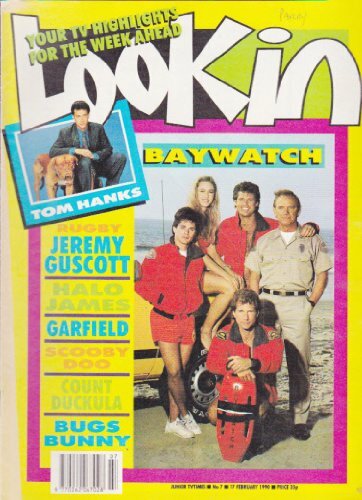 23rd April 1988 - Wet Wet Wet, Galaxy Rangers, Inspector Gadget and Tiffany feature on the front cover.